To join or leave the NEPAJAC listserv, click on this link and send the e-mail. 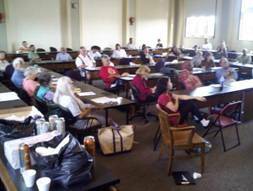 A Conference to Challenge the Wars of the 1% Against the 99% Abroad and at Home. UNAC is helping to organize protests in May, 2012 against the NATO and G8 meetings planned for Chicago. Click for more information. 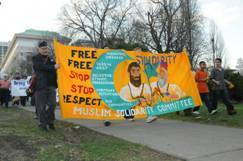 Sept. 11 march against racism and anti-Muslim bigotry! The rally was attended by over 3,000 people. It was organized to counter the right-wing opposition to the Islamic Community Center that was being proposed for down town Manhattan. The rally in support of the Islamic center was larger than the one opposed and got nation press coverage. 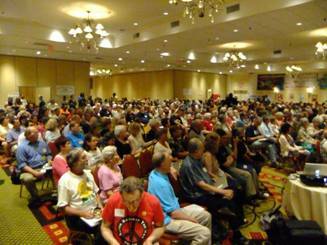 The National Antiwar Conference was a big success with around 750 people registering. People came from 31 states and 22 people came from outside the country. Much of the conference was live-streamed onto the internet and recorded by the Sanctuary for Independent Media. This can be seen at here (http://mediasanctuary.tv/crows/). The conference adopted an action proposal to guide our work for the next several months. The action proposal can be found here. For a full report on the conference, go here. On April 5, 2010 members of the Muslim Solidarity Committee and Project Salaam marched through Downtown Albany to City Hall where Council member Dominick Calsolaro proposed a motion that the Albany Common Council urge the US Justice Department to review the cases of Muslims who have been unjustly prosecuted. Family members and supporters spoke with great emotion and resolution. The Coucil passed the resolution by a vote of 10 – 0 with 4 not voting. Three hundred people demonstrated at West Point on Wednesday, December 2, 2009 as president Obama announced his escalation of the war in Afghanistan and Pakistan. Click here for a Sanctuary for Independent Media video of the event. On the following day, 150 people demonstrated in Albany at Wolf Rd and Central Ave. Click here for the channel 9 coverage of the event. Additionally, demonstrations took place in cities all across the country. 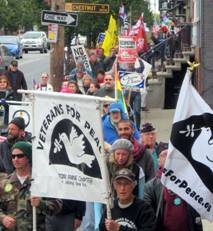 250 people participated in the October 17th peace rally on the 8th anniversary of the invasion of Afghanistan. 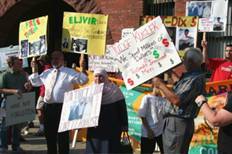 The Albany rally was one of 50 that took place across the county. Nationally, the rallies were called by the National Assembly to End the Iraq and Afghanistan Wars and Occupations and supported by close to 200 other organizations. 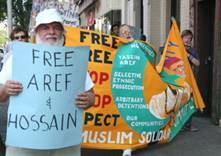 Over 100 People took to the Streets in Albany to protest on the 5th Anniversary of the Arrest of Yassim Aref and Mohammed Hossain. 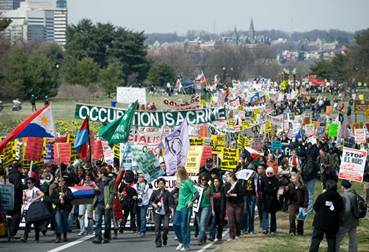 Thousands marched against the wars in Washington, San Francisco, Los Angales and other cities. 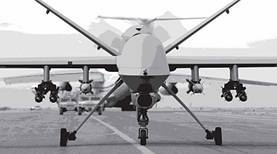 Select this link for reports from the National Assembly to End the Iraq and Afghanistan Wars and Occupations. On January 28th, 2009, Bethlehem Neighbors for Peace held a recognition dinner to honor Scott Ritter for the relentless struggle he has pursued in the name of truth and justice. BNP also celebrated its 6th birthday. Letters honoring Scott were read from Danial Ellsberg, US Army Colonel Ann Wright, author Michael Parenti and other local and national figures. 100 people marched from the Masjid As-Salam Mosque to down town Albany where a vigil in support of Yassim Aref and Mohammed Hossain was held on Friday, August 22, 2008. On Saturday, August 23, 2008, 55 people attended a conference on the case along with other similar frame-up cases of Muslims. Out of the Saturday conference, a new organization called the Muslim innocents project was formed. A link to the new web site will follow as soon as it is set up. 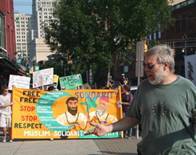 Over 400 people attended the National Assembly to End the War in Iraq and Afghanistan in Cleveland during the weekend of June 28 – 29. 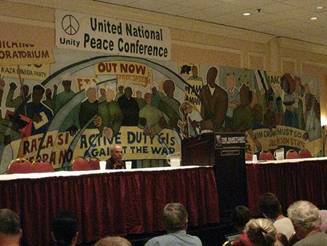 The conference was a great step forward towards bringing unity to the anti-war movement and strengthening our movement on a national level. Click here to go to the National Assembly Web site for a full report on the conference. Steve Breyman: Project Coordinator for climate neutral government and institutional operations for the NYS Climate Change office. And several member of Iraq Veterans Against the War including several active duty soldiers from Fort Drum. Cindy Sheehan also spoke at Union College and Vic Sidel spoke at the Albany Medical school while they were in the area. On March 22, 2008 over 600 people participated in the 5th Anniversary march and rally against the war in Iraqi (see www.RememberingTheFallen.org). As we rallied, the 4,000th American Soldier died in this illegal and immoral war. At the rally, which took place in downtown Albany in the Capital West Park, participants set up a display with the names of nearly 4,000 of the fallen US soldiers and also the identities of 4,000 Iraqi civilians who have died.